Ever since Shoes brought several bands together for its classic Yuletunes CD in 1991, power pop has been successfully carving out its own niche in the Christmas music genre. The New Jersey-based indie label Kool Kat Musik has certainly embraced the trend; recently releasing A Kool Kat Kristmas Volume Two. 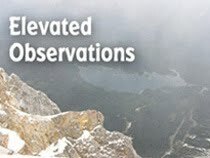 As with the previous version, Volume Two features a number of acts putting their seasonal contemplations to melodic, guitar-driven arrangements. And once again, a portion of the proceeds for each sale will go to the Susan Giblin Foundation For Animal Wellness and Welfare. Most of the bands on A Kool Kat Kristmas Volume Two take a cheerful approach to the holiday, even if it comes under unusual circumstances. “Christmas Is Coming Again” by The Pencils (who reunited for this effort) and “Snowbirds” by The Honeymoon Stallions celebrate holiday traditions, using lush harmony vocals and ringing guitars. The Connection uses playful, old time music on “Poor Boy” while proclaiming that you don’t needs loads of money to enjoy Christmas as long as you’ve got rock and roll. Shake Some Action and The Tor Guides adroitly employ mid-1960s jangle for songs about observing the Yuletide in non-freezing weather and getting cool records as gifts on “Christmas In The Sun” and “Beatles Vinyl,” respectively. On “Another Lonely Christmas,” Split Second remains engaging while exploring the sadness that sometimes comes with this holiday, while Dan Kibler delves into exotic indie rock for his acoustic-based “Winter Sun.” The Bottle Kids’ descriptive “Christmas In Paris” and The Genuine Fakes’ bittersweet “You Always Come Back Home” offer additional, interesting variations. 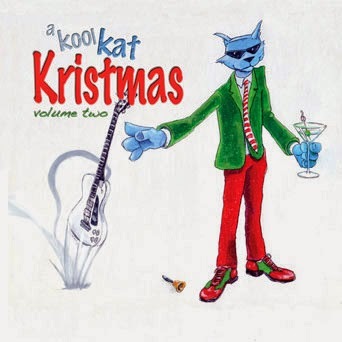 People who like to put together their own rock Christmas playlists will find some worthy new candidates on A Kool Kat Kristmas Volume Two.